Buy Or Sell Your Home Today! As your real estate professional, I am dedicated to fully guiding you through the process of buying or selling your home. I highly value every customer, keeping your best interests at heart while providing an unparalleled personal level of service to suit your needs. Please do not hesitate to call me so we can discuss your new home! Realizing your home is one of the largest investments you will ever make, I believe keeping you informed about current market trends and values is one of the greatest services I can provide. I have chosen this website as my format to accomplish this objective. 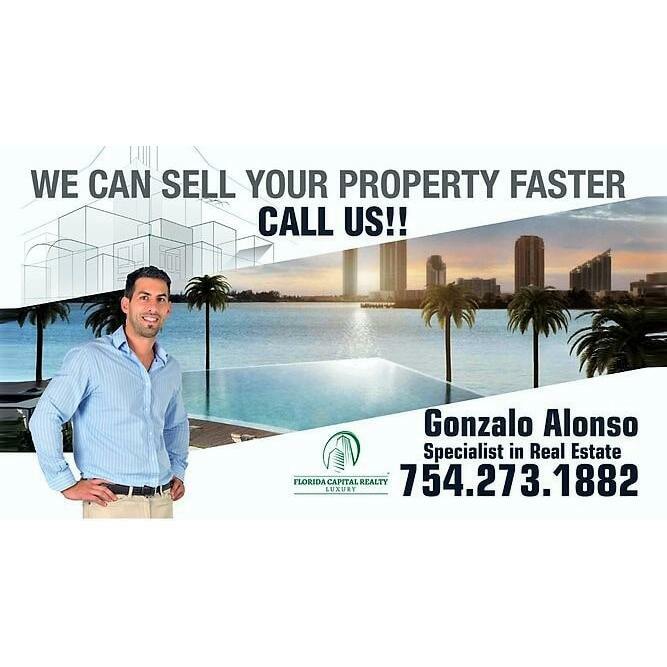 If you have any questions regarding any of the information contained herein or would like to discuss the value of your home, please do not hesitate to call me at 754.273.1882 / Gonzaloalonso@realtyagent.com... A percentage of any transaction is donated, let's contribute to make the world a better place.